Posted on 3, November 2016 by EuropaWire PR Editors | This entry was posted in Defence, Industrial, Italy, Security & Safety, Technology and tagged Air Traffic Control in China, gallium nitride, GaN, Instrimpex, Leonardo-Finmeccanica, National Instruments Import and Export Corporation, radar systems, surveillance radar systems. Bookmark the permalink. ROME, 03-Nov-2016 — /EuropaWire/ — Leonardo-Finmeccanica has been awarded a contract by China’s National Instruments Import and Export Corporation (Instrimpex) to supply four new radar systems for Air Traffic Control in the country. The new contract strengthens Leonardo’s position as one of the premier suppliers of Air Traffic Control (ATC) radar systems to China, building on over 30 years of experience providing such systems to the country. 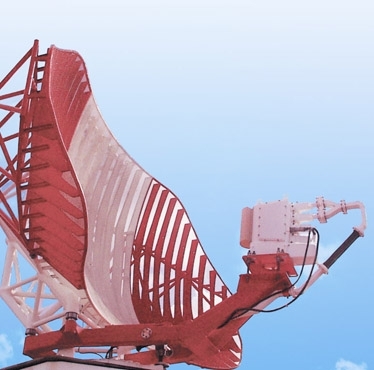 Over 60 ATC systems installed in Chinese territory provide radar coverage across nearly all of the main routes in the central and eastern regions. The four ATCR-33S NG primary radars will be employed during flight departure and landing phases as well as for Extended Terminal Area surveillance (ETA). Part of a new generation of radar systems, they make use of the latest technology available to the communication, navigation and surveillance market. Based on Leonardo’s proven ATCR-33S ENH systems, which are installed worldwide, the ATCR33-S NG is more resilient and provides increased transmission power in all weather conditions thanks to the use of GaN (Gallium Nitride) power transistor technology in the transmitter chain. This technology also provides increased reliability and performance, widening the area of coverage. Better use of space for a more compact solution also provides operational cost savings throughout the long life cycle of the system.